One of my close friends passed away a few days ago. It was very sudden; until his brother confirmed it, I couldn't believe it. This is my first geeklist. I'd thought of making geeklists before, but it was never very high among my priorities. But now I'd like to make sure people remember him for all the games he taught others and the lives he changed. I'd also like to invite everyone who knew Vic or learned games from him to comment or add items to this list. Thanks for all the gaming. May you rest in eternal light. 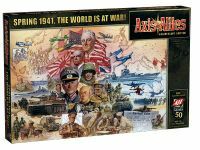 This was my entry into the board gaming hobby. A month or so after I bought it, a friend told me about a tabletop gaming community nearby that met once a month. I attended this gaming meet and that's where I met Victor. He was one of the organizers, and he made it his job to teach every newbie any games they might be interested in, and to help them get into games with other players. Many members of the local gaming community had their first gaming taste through his efforts. I don't remember the games I played that first night, but I was hooked. 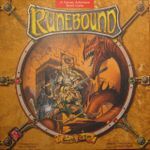 I started attending the gaming meets regularly; Runebound is the first game that I can clearly remember playing with Vic and my new friends. The consensus was that it was a fun game, but it was too much like "multiplayer solitaire". First time I'd ever heard that term, but it was very accurate. He started another league the next year, but attendance flagged and other players lost interest. This second league was never finished. 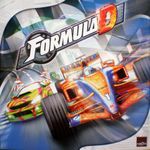 Vic was a real fan of this game, and was trying to complete his collection of tracks. At the time I started gaming with their group, he only had a few. Then by some miracle, a local store released a whole bunch of tracks - evidently they didn't know they were sitting on a gold mine. Word got out fast and a couple of days later, the stock was all gone. But one of our friends, new to the gaming community, had gotten several of these tracks and donated them to Vic. Suddenly his collection was nearly complete; he was only missing one pair, tracks 14 and 15 I believe. He never got them. I'd like to help his brother complete the collection, if I can. I'll keep an eye out, but I don't think the odds are good. So I liked Formula De well enough that when this version came out, I got my own copy. We had quite a few good times with this one, until I ran into some financial problems and sold this to him some years back. It's still in his collection. This was another game I learned from him. Awesome game Some of us in the gaming community talked about organizing a tournament, but the plans never materialized. I did buy my own copy, but this was long after it went out of print and expansions were scarce. Vic somehow found a source for several Masetai from this expansion. I bought several from him; I think I have all Masetai from this set. I know he kept a set for himself. We couldn't get the other Navias though. This was a short, sweet game we used to play. Fits in a pocket, plays fast, very pretty art. Win. Knizia? Fun? Are you serious? Actually, yes. It's a lot of fun. Vic was a huge Trek fan and was very excited when his copy arrived. We set this up at a friend's place one weekend and had a good time. My apologies, Mr. Knizia, and thank you for this game. This one's mine. I taught him and a few friends the rules, and we quickly decided co-operative play was the way to go. This was one of the games we and our nearest gaming buddies played frequently. He borrowed this from me for nearly a year and said that his co-workers (and other gaming groups he was a part of) loved it too. He returned it to me just last month; I'm glad it was so well liked. Another of our gaming buddies got us into this game. We loved it, but work schedules, changing jobs, demands of families etc. took an increasing toll on our gaming time. We'd often play this one through instant messenger and webcam, because it was so short. I bought this one a few months ago. By this time, I was only rarely getting board game time and hadn't seen Vic in months. I did pick up Touch of Evil from him last September, but we didn't have time for gaming that time, so we just sat and chatted for a little while. Last weekend, we had time for one game. I taught him and another friend how to play this, and they had fun with it. I didn't play - I just watched; Vic beat our friend quite soundly. Friday morning we got the news that he'd passed away, apparently of a stroke. He should have had at least four more decades of gaming ahead of him. I couldn't possibly list all of the games we played together, so I've only listed a few of the significant ones. For practical purposes, he was the lifeblood of the local gaming community; he taught so many newbies the pleasures of tabletop gaming, to the point that he frequently didn't have time to play games for his own enjoyment. I was once the regular host of a gaming group in south Manila aptly called SAGE - Southern Area Gaming Enthusiasts. Vic and WizardHowl were the regulars. 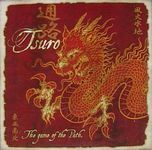 We once played this game in my wife's shop, and I thought my wife would love a copy of the game so I tried to find a copy to order online. Sadly the game by then was long out of print. Vic owned the copy we played. He eventually gave it up as a prize in a Christmas party for Manila board gamers last year. Fortunately for me, I was the one who got it in a trivia contest. So now I have a piece of Vic to remember him by. In another SAGE meet up, we played this one with 2 other players, with him playing both the Germans and Italians. Took all afternoon and we still didn't finish. I think this was the last time I hosted the SAGE meet up, and the chance to regularly play with him. After that, I had to move north and the southern group got passed on to different venues until its members were subsumed in other gaming groups. It's funny that this was the last game I remember playing with him. He volunteered to demo kids' games at a local convention, and I attended that convention to learn about games that I could play with my daughter. That's Vic, always lending a hand to spread the love of board games at every opportunity. 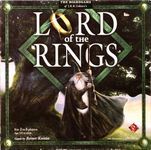 Lastly, this game would always remind me of Vic, not only because of his sagely, Gandalf-like ways, but because I first met him at a local RPG convention where this game was played. He and his brother, two of the organizers, were even wearing costumes! That convention was the start of the monthly gaming meets we continue to have here in the Philippines. Well done, Vic! Some friends reminded me of this - how could I have forgotten? Vic owned it, we played it (more than once...) and fun was had by all. When I first attended a tabletop gaming community, I went with my colleagues. And right after they left, I decided to stay and play with other people. There's a group that I saw that was about to start a game, so I asked if I could join. 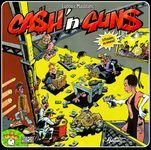 One of the games we played was Cash n' Guns. Nobody in the group knew the full mechanics of the game, so they asked Vic to teach us. That was the first time I met him. He thought us how to play Cash n' Guns and ended up joining us to play the game. Even though I only met him once, I knew he was a good person and had the patience to explain to a newbie like me the rules as simple and fun as possible so that I can be part of the fun and enjoy playing the game with new found playmates. I was really shocked when I got the news of his passing. He was a real loss to the gaming community. I remember playing this a LOT with Vic. This was one of the most reliable gateway games he'd use to introduce beginners to the hobby. The last day that I saw him, we played it a couple of times with some new players before moving into Cash and Guns. This one was very popular - Vic would pull this out very often when introducing people to board games. They'd be like, what are you guys doing? And Vic would briefly describe the games going on at the moment, and invite them to play something light like this game.